Ósníkinn and Randvé had this stone raised in memory of Stóri. 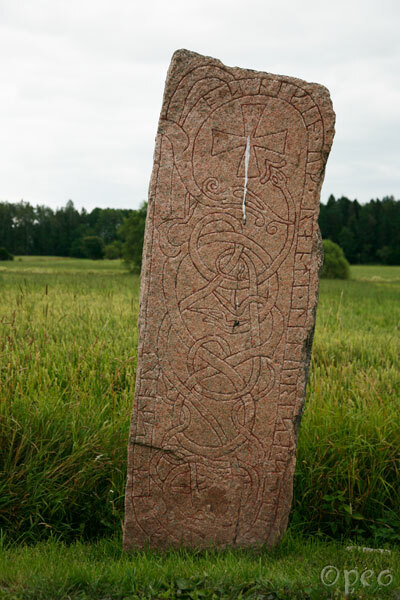 A very well preserved rune stone. Move the cursor over the photo to see it from the side, where the carving continues.